More than half the world’s population already lives in towns and cities, anticipated to increase to an estimated five billion by 2030, most of which will occur in the developing world and Africa in particular, yet with limited capacity to build resilience. Weak spatial planning, rising urban poverty and increasing climate change related risks in cities are already having widespread impacts on the health of society and ecosystems and diminishing crucial roles of urban areas for achieving sustainability. As centres of high population density and economic activity, urban landscapes experience additional burdens from health influences of global environmental changes, for example, disease or death from extreme weather events. Pollution and chemical exposure-related diseases including airway illnesses, heart disease, malnutrition, changes in vector-borne disease risks, water-borne and sanitation-related diseases are rising, resulting in unsustainable and less resilient societies. 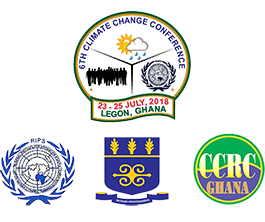 This Network seeks to bring together persons of diverse backgrounds already doing research on the intersection of health, environment and development to bring new understanding to ecohealth, climate change and urban sustainability for finding solutions to emerging challenges and problems.